It shouldn’t take a certain heart-shaped holiday to convince you that a romantic getaway with your other half is just what you need to reinforce your relationship. So why not whisk them away for that well-deserved break now? 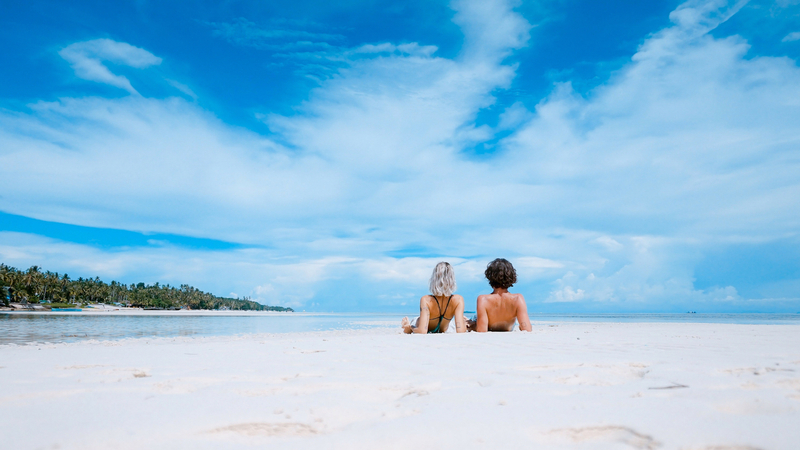 Whether you love to sip coconuts on a beach, explore cities or go mushing with a pack of huskies, here are our top ten destinations to go to and celebrate each other. 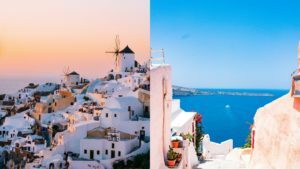 The iconic blue and white vistas, dramatic caldera landscapes and sunsets over the azure Aegean Sea, are but a few reasons to visit Santorini with your significant other — especially if you’re photography enthusiasts. And we didn’t even get to the remarkable Hellenic wines or volcanic produce yet. So slow it down and head on over to this idyllic Greek island to inject a little Santorini magic in your lives. It’s no surprise that Japan came up on our list when spring is just around the corner and the cherry blossoms are about to bloom. But to enjoy this hand-in-hand with your partner as your own romance blossoms is really something else. 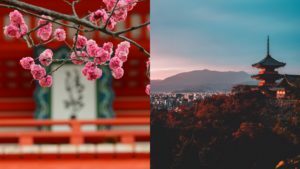 Of course, autumn is equally as romantic when you’re exploring the traditional side of Japan via the geisha district of Gion, Arashiyama’s Bamboo Grove, Fushimi Inari Shrine, or the canal-side Path of Philosophy. It might just be because the final season of Game of Thrones is looming, but we are all quite infatuated with Dubrovnik. Whether or not you recognise it as the set for King’s Landing, this picturesque city has it all. Look past the ancient medieval walls and go explore stunning architecture, gorgeous beaches, crystal waters, waterfalls and one of the most vibrant summer festivals in the Mediterranean together. 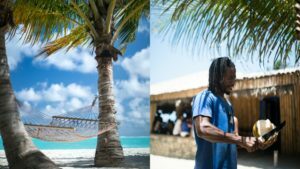 Most of us don’t need much convincing to head to the Caribbean, but if you were wondering why you should choose Negril in Jamaica — picture yourself on the uninterrupted sand and turquoise waters of Seven Mile Beach, exploring lush jungles and the country’s most impressive waterfalls, and enjoying live reggae with rum cocktail in one hand and jerk chicken in the other. Negril, here we come! Christmas almost always evokes a sense of magic and romance, so why not just create the same festive feels in Finland. 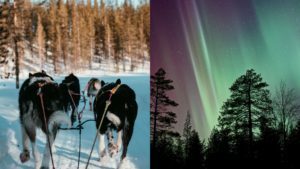 Visit reindeers, go husky dog sledding and freestyle together down the ski slopes, before snuggling up in a glass igloo whilst viewing the Aurora Borealis. As if discovering the surreal landscapes of fairy chimneys and cities carved in stone wasn’t enough. 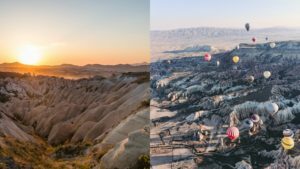 The number one thing to do in Cappadocia is bound to take your love to new heights, quite literally. Couples can enjoy spectacular views high up in a hot air balloon at sunrise — a fairytale sight with hundreds of them dotted in the sky. It doesn’t get any more memorable than that. 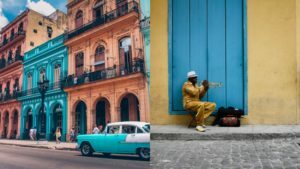 Havana is a destination for those who love all things retro. Drive a vintage car through the atmospheric streets lined with colourful wall murals, or discover the city’s unique architectural mix and you will be transported to a different era. Then wind down like a true local and salsa with your partner while sipping on mojitos until the sun goes down. 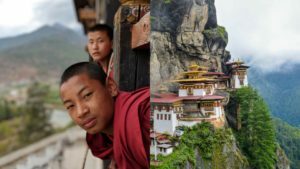 Take the scenic route to peace and serenity and you’ll end up in Bhutan — the last standing Buddhist Kingdom in the World — which is known to locals as Druk Yul, or Land of the Thunder Dragon. 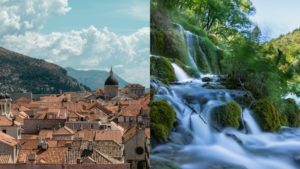 And it really is a mystical as it sounds, with its jaw-dropping landscapes, ancient monasteries and fortresses, it really is an adventure of a lifetime for you and your other half. For couples searching for la dolce vita, look no further. You’ll find it on the Amalfi Coast. If the charming fishing villages or cascading cliffs over shimmering bays don’t get you, the fresh seafood and limoncello will. 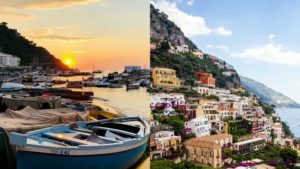 It’s also home to some of the best luxury hotels and restaurants in Italy, not to mention photogenic Positano and its well-known clifftop view. 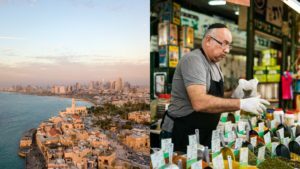 It’s one of the most happening yet historic cities in Israel, and still so underrated. Not only will you find the oldest port in the world, sandy beaches, Bauhaus-style buildings, a myriad of museums, galleries, and a fantastic food scene, but the nightlife also gives Ibiza a run for its money. If you’re going to discover something together, let it be Tel Aviv.